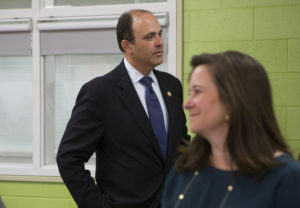 RICHMOND, Va. — It’s time to pick the winner in a bitterly contested election that could decide the balance of power in the Virginia House of Delegates, Republican leaders said Friday, while urging a recount court to reject a bid by a Democratic challenger to reverse its decision declaring the race a tie. Lawyers for Republican Del. David Yancey urged state elections officials to schedule a random drawing of the winner’s name no later than Jan. 9, the day before the legislature reconvenes. In court documents, Yancey’s lawyers argued that a three-judge recount court has already reviewed a single disputed ballot and found it was cast for Yancey, declaring the Nov. 7 election a tie. The intense battle over the 94tn District is another dramatic twist in a November election that saw Democrats wipe out a 66-34 advantage held by Republicans in the House. Republican leaders also went on the attack in a conference call with reporters, accusing Democrats of deliberately trying to make it difficult for the House to get down to business when the legislature reconvenes. “Democrats have sought to delay and obstruct at every turn,” said GOP House Leader Kirk Cox. The intense battle over the 94tn District is another dramatic twist in a November election that saw Democrats wipe out a 66-34 advantage held by Republicans in the House, as voters vented anger toward Republican President Donald Trump. If Democrat challenger Shelly Simonds ultimately wins the 94th District, the House will be split 50-50 between Republicans and Democrats. If Yancey wins, Republicans will have a 51-49 edge. The state Board of Elections had been scheduled to pick the winner’s name out of a glass bowl on Wednesday, but postponed the drawing after Simonds filed her legal challenge. It initially appeared that Yancey had won the race by 10 votes. But Simonds won a recount by a single vote. The next day, the recount court declared a tie based on a disputed ballot the court determined was a vote for Yancey. The result is one of two House races still in limbo. A lawsuit is pending over ballots in a hotly contested race in the 28th District in the Fredericksburg area.